Your city is stupid. The flooding and potholed streets, the poor built buildings leaking considerable amount of energy, coin-operated parking devices, traffic jams many of us encounter every day have been recognizable features of almost every city for centuries. But the smart cities future is here, and it has just started its journey. 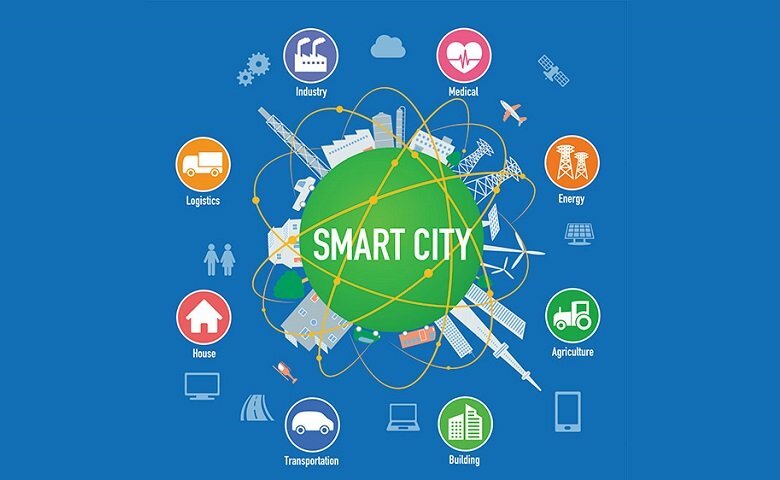 Thanks to exceptional advances in technology and proliferation of Internet-connected devices (IoT), smart cities will become urban centres that will protect environment, improve residents’ quality of life and enhance economic development. During the last decade, existing cities have been exploring innovative ways to use technology and data to improve their systems and the quality of life for those living in them. The rise of big data and ever rising affordability of new digital devices have contributed to the ‘smart’ and ‘sustainable’ transformation of modern urban centres. A smart city uses IoT sensors and smart technology devices to connect and derive data from every layer of a city, from the air to the street to underground to make a city more efficient, cost-effective, safer and greener. Mostly European but also American and Asian well-developed cities have started the transformation into smart urban areas and have deployed the cutting-edge technology to deal with issues regarding water and waste management, energy efficiency and transport. The installation of wireless LED street lights to reduce energy uses, utilization of in-home sensors to monitor real time water and electrical uses, expansion of bicycle paths and bus stops to promote public transit use, walking and cycling, converting waste to energy, incorporation of asphalt-embedded parking sensors to predict and avert traffic congestion are just some of the examples of how today’s cities eager to become smart cities soon are using technology to solve global environmental issues. Still, Smart cities are supposed not only to tackle the global environmental issues but social and economic as well. A well-developed smart and sustainable city should present improvements in the areas of environment, urban planning, human capital, social cohesion, economy, governance, technology, mobility and transportation. The high-level achievements in all these areas are not easy to reach and the greatest challenge is to transform today’s cities in simultaneously environmentally friendly, prosperous, fair and inclusive urban centres. The over populated cities can place tremendous pressure on already weaken natural resources and the overall infrastructure and thus today’s adoption of smart cutting edge technologies in urban areas will help us create sustainable future. According to McKinsey Global Institute’s study, the effective use of the current generation of smart city applications could help cities make significant or moderate progress toward meeting 70 percent of the Sustainable Development Goals. So, future of smart cities is already our reality and it is just the first phase of turning every city into a smart one! Sustainability Knowledge Group is a global advisory firm dedicated to creating value, through strategic CSR and sustainability solutions. Sustainability Knowledge Group supports companies to develop, manage and measure effective tailor-made Sustainability and CSR programs which address social and environmental challenges while promoting corporate strategy. Sustainability Knowledge Group offers training, coaching and advisory solutions grounded in international theory and successful application, and focuses on proven methodologies that bring tangible results, measurable impact and create better businesses. If you would like to know more about how to lead in sustainability, utilize proven tools and gain new skills, contact Sustainability Knowledge Group at: [email protected].